The emerald is the most precious in stone in the beryl family and gets its green color from the presence of chromium and vanadium. Only the finest quality emerald gemstones are transparent and flawless. Most have tiny fractures or inclusions called jardin, from the French word garden. It is a common practice to oil emeralds to hide these jardin and enhance the color. 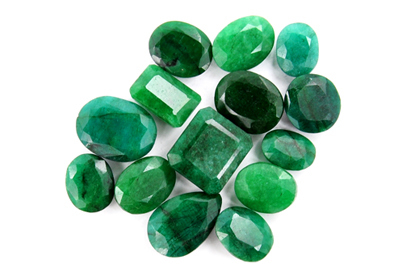 Its name can be traced back to Ancient Greek, smaragdos, meaning green gem via old French word esmeralde. Like the diamond, emeralds are graded on the Four C's, Carat, Cut, Color and Clarity. In the 1960's, the jewelry industry in America changed the definition of the emerald to include vanadium-bearing beryl and is often referred to as Columbian Emerald. 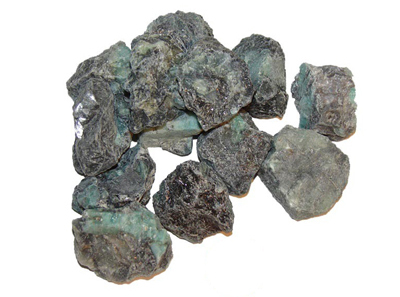 These emeralds are not recognized in the UK and Europe. 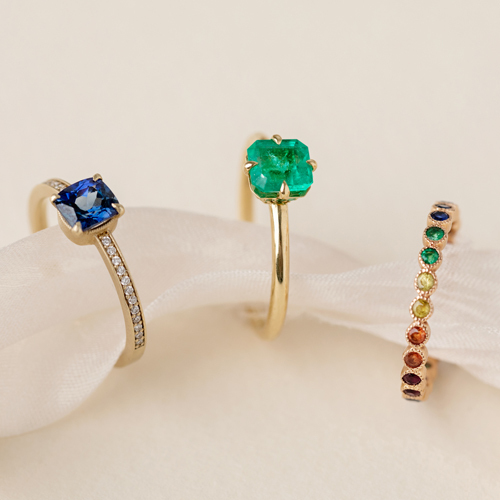 The emerald, along with ruby and sapphire, make up the big three of colored stones and generate more economic activity than all other colored stones combined. 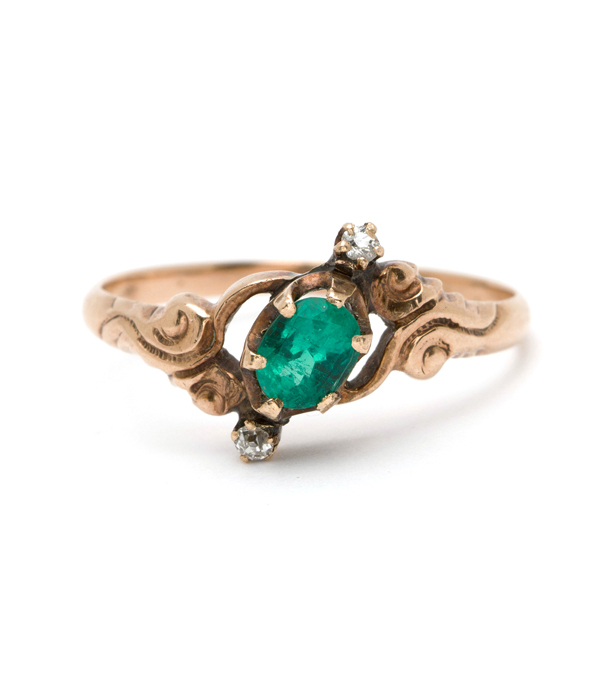 Emeralds in antiquity have been mined in Egypt since 1500 BCE, and India, and Austria since at least the 14th century. Today, most emerald production originates in four countries Zambia, Brazil, Zimbabwe with Columbia leading by far in anual production, 50-95%, depending on the year, source and grade. The Holy Scriptures of the Hindu state that emeralds promise good luck and enhances well-being. The emerald is not only the birthstone of May, but it is the gemstone of the Zodiac sign Caner and is the official anniversary gemstone for commemorating the 20th and 35th year of marriage.